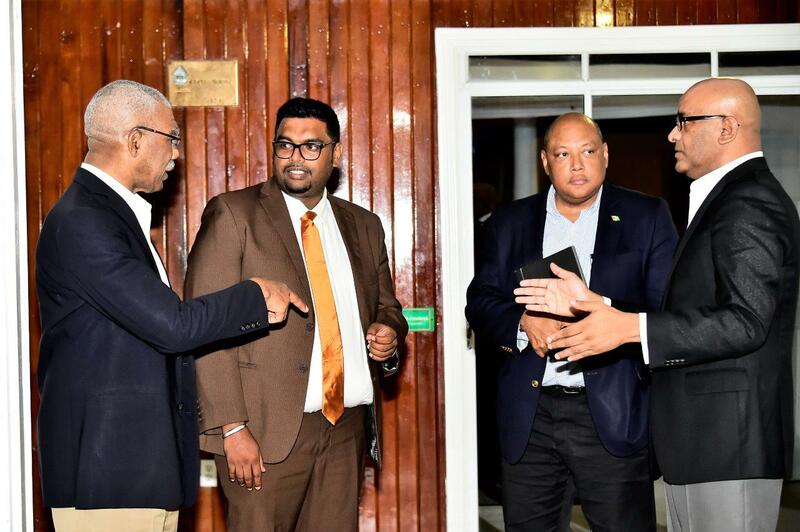 Opposition Leader Bharrat Jagdeo is to submit a third list of nominees for the position of Chairman of the Guyana Elections Commission to President David Granger. This decision came following a meeting today between teams led by Granger and Jagdeo. Upon an invitation of His Excellency President David Granger, today the Leader of the Opposition and his team comprising of Mr. Anil Nandall M.P and Mr. Irfaan Ali M.P, met with President David Granger and team comprising of the Hon. Joseph Harmon M.P and the Hon. Mr. Raphael Trotman M.P, to consult on the way forward on the selection and appointment of a Chairman of the Guyana Elections Commission in accordance with Article 161 (2) of the Constitution of Guyana. The parties agreed that it would be in the best interest of the people of Guyana that the choice of a Chairperson of the Guyana Elections Commission is made without undue delay. The parties further agreed that the Leader of the Opposition will submit a new list of six names to the President. It was also agreed that a high-level team would be assembled representing the President and the Leader of the Opposition which will begin to work immediately on exploring modalities to bring a resolution to this matter in the event that the list is rejected.